Govind believes that real estate buyers and sellers everywhere deserve world-class service from outstanding agents who are skilled, ambitious and focused on achieving outstanding results. He strives to be the best through education, service, effort and experience. His innovative and tactical marketing techniques will help his clients stay ahead of the game. Govind understands that buying or selling real estate can be overwhelming thus, he is driven to make this process seamless for his clients. 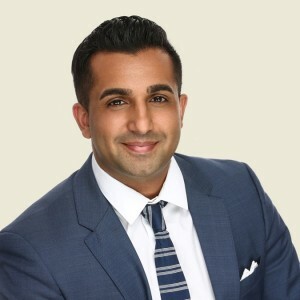 Govind is an avid believer in guiding his clients through every step of the process; explaining the current market, helping navigate complex paperwork and offering invaluable advice. Govind comes from a family of successful REALTORS®, builders and investors. With his education background in business and marketing along with his skilled team of contacts/associates you can rest assured that Govind will help you find the right home. RE/MAX® professionals lead the industry in terms of experience, education and sales. The level of expertise along with the brand recognition that RE/MAX® has to offer allows Govind to provide you with nothing but the best.